Entryway or the door speaks a lot about any house, especially when it comes to a modern house. The entrance is not just a pathway to get into the house. It is much more than that. This is the first thing that your guests see when they enter your house and so it should have uniqueness. That is the reason why modern homeowners consider the gateway as the identity of any house and design it with due importance. Therefore, if you are into making a modern home, you should make sure to checkout a few different design ideas before finalizing. Ensure that the design you select reflects elegance along with uniqueness. When it comes to the designing aspect of modern entryways, you can find a plethora of choices. Browse through them and find the one that suits your home in the best way. 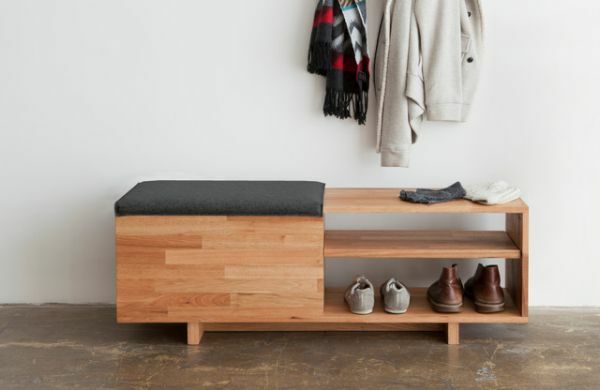 Though there is plethora of options for designing homes, many modern homeowners now are opting for entryway benches. A nicely carved bench design on the entrance of your home will not only add beauty to the house but also will offer functionality. Anyone coming to your home can wait there for some time or for taking off and wearing shoes. To add brilliance to the design, you can certainly accessorize it with bench cushions. Nowadays, many modern homeowners are opting for entryway mirrors as this add an elegance to the place without acquiring a huge space. 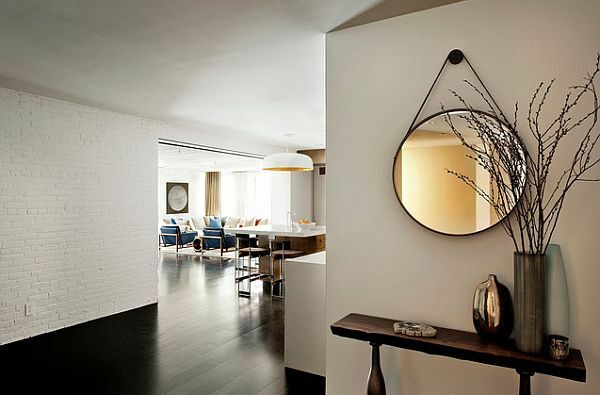 Though mirrors can be used in any modern home, this is especially recommended for homes, where space is a constraint. Mirrors will not only fit in a small space but reflections from two or three glasses will make the space appear much bigger than it is actually. The best part is, installing a mirror would not take much time and can be completed in a couple of days at ease. Last but not the least, no one can deny the functionality of mirrors, especially when you have gorgeous divas at home. Entryways for modern homes do not have the typical arches or patios. Some houses prefer to make the space of their entryway functional and impressive. If you are also among them, you can go for coat racks. 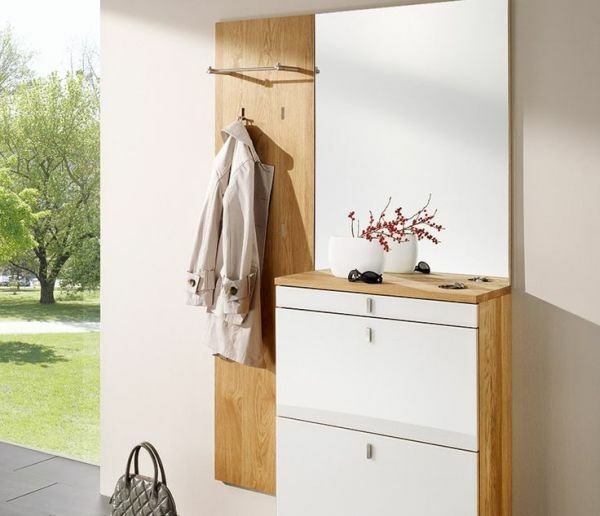 Apart from mirrors, coat racks can also be a good choice for homes, which do not have a spacious area in its entryway. Coat racks can also be a good choice for homeowners who do not want to block their floor space and, are actually looking for something that they can mount on the walls. 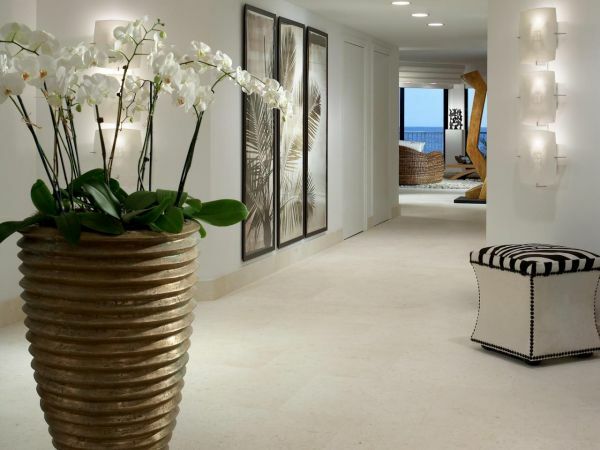 Last but not the least, if you have ample space for the entryway, you can certainly opt for the contemporary white foyers that flaunt different pieces of potted orchids or artworks. As white forms the base color, you can easily add any other contrasting color to make the space appear better and brighter. When selecting the designs, you should make sure that it is in sync with the rest of the house. After all, home is where the heart is. Therefore, everything related to your home should perfectly match your personality. Be it the living room or the bedroom, kitchen or the entryway, every section should be decorated with equal importance.